At United Garage Doors in Henderson, we are here for all of your garage door needs in the Greater Las Vegas Valley. With qualified, skilled technicians that provide only the best in service, we will be there for you whenever you need us to get your garage door back to fully functioning as it should. United Garage Doors in Henderson knows that time is of the essence when your garage door won’t open or close and stops working as it should. We promise to respond to all service calls as fast as we possibly can. We are fully committed to our valued customers and promise to have your garage door working flawlessly when we leave your home. Please note: It is very important you do NOT use your garage door if the cables start to sag, are broken or if the door appears to be coming off the tracks. In addition to potential damage that could lead to more costly repairs if other parts break, it could cause a serious injury if the door were to crash and fall. Save yourself time, stress and care for the safety of those nearby by calling United Garage Doors in Henderson now and taking care of your garage door repairs before the situation gets markedly worse. BROKEN SPRINGS – This is the most common problem with a garage door. If your springs will not operate properly, we will fix it! We will quickly get your garage raising and lowering with ease. Please note that you should be very careful when trying to examine your torsion springs yourself as they hold a lot of pressure in the assembly and can break with extreme force. BROKEN OR TWISTED CABLES – Any of these symptoms means your spring has broken and there is no more tension on the cable, particularly when the cables are off the drums. 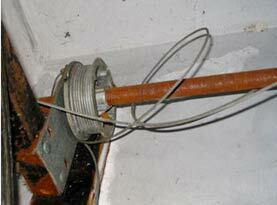 Call us to fix this issue as we can help when your garage door cables become loose, bend or break. Most times, we can adjust your cables to remove sag but in some circumstances a replacement of your cables and garage door springs may be necessary. BROKEN HINGES – This can be very dangerous if left unchecked as your garage door could unexpectedly fall. If you have broken hinges, call us right away. STUCK DOORS – This could be caused by anything from a broken hinge or roller or sometimes even bad door alignment. We will inspect your garage door to determine the exact cause of your stuck door and fix it. GARAGE DOOR OFF TRACK – If your garage door has been blocked when going up or down and has been thrown off the track, call us to get it working properly again. CRASHED CAR INTO GARAGE DOOR – This happens more often than you might think. If a car crashed into your garage door, we can fix or replace it with a new panel or door. DAMAGED OR BENT DOOR PANELS – We can fix bent and damaged door panels or replace with a new panel or door if necessary. DOOR STRUTS – If your garage door is sagging in the middle, it needs a new strut to support the weight. This can save the life of your door. 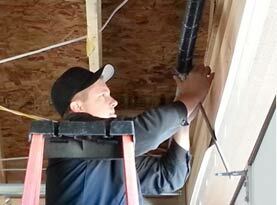 Call us to install a new strut! OPENER ISSUE – Whether your opener is not opening or closing all the way, makes loud noises, or doesn’t open at all, we can troubleshoot the issue until we find the cause and then fix it. Depending on the amount of use and the weight of your door, garage door openers typically only last between three to seven years before they need replacing. TORQUE CONVERSION – From a Wayne Dalton door heavy system to an external spring lift system for example, we can handle all of your torque conversion needs. ROLLER REPLACEMENT – Broken rollers can make the door sag and can even cause a door to crash if left unchecked. If you suspect or notice a broken roller, call us right away before the problem escalates into bigger, dangerous issues. 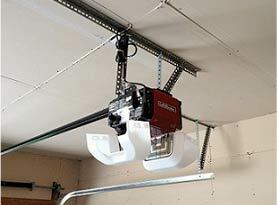 OPENER REPLACEMENT – We can replace your garage door opener with a new top of the line opener. KEYPADS – We can install and program a brand new keypad for your garage door, or help fix or program one that you have already purchased. We can also repair or reprogram your existing remote or keypad. REMOTES – If your remote is not working correctly, call us for a thorough inspection. We will check everything from the batteries, battery contacts and eyes. We will try rebooting the system and troubleshoot why your remote is not functioning. Rest assured, we will get to the bottom of the issue and provide an affordable solution. TUNE UP AND GARAGE DOOR MAINTENANCE – If your garage door is making noises when opening or closing, it needs to be serviced. Call us to schedule an appointment. 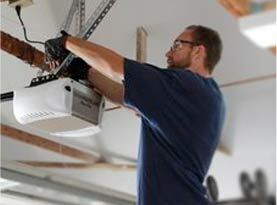 WEATHER STRIPPING – When the weather stripping is worn out it allows all kinds of insects and dust into your garage. Call us to replace your weather stripping. United Garage Doors in Henderson offer a full garage door maintenance package where we painstakingly go through your whole assembly to make sure that everything is working correctly, there are no worn out parts, safety concerns or other issues that may escalate into bigger problems if left unchecked. Our visual inspection includes garage door springs, pulleys, rollers, cables and mounting hardware such as hinges. We can also perform a garage door balance test to ensure there is not excessive stress on your pulleys and springs, a reversing mechanism test on automatic garage doors to ensure the edge sensor is working correctly, a photo eye test to make sure your photo eyes are working as they should and a force setting test to ensure your door is working safely. Finally, we will also spray lubricant to the doors hinges, tracks and rollers.